Seeking perfection becomes an obsessive way of life. Striving for our own excellence robs the Lord of what is only meant for Him…true perfection. Perfectionism. It’s a common lie indeed; one that plagues the lives of many women and has certainly not left my own life untouched. It’s a tricky little lie, often disguising itself as being ‘organized’ and ‘a good planner’; maybe even ‘studious’ or ‘determined’. We convince ourselves and others that it’s a good thing, but little do we know that with each obsessive shift of the table centerpiece; each edit that we promise ourselves will be the last; each nagging remark about how messy his side of the bathroom sink is; and each overly-meticulous vacation itinerary…with each desperate attempt at perfection, this lie slowly but unabatedly tightens its grip. And before we know it, we’re suffocating. Though there was never really a beginning to this lie, I do recall a moment when my behavior started showing a tendency towards perfectionism. 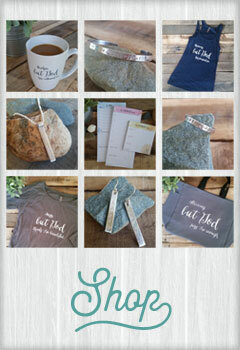 As a homeschool kid, I had the time and space to make perfect every single thing I set my mind to. I completed school work with precision. My room remained spotless and my workspace clean and organized. I just liked things this way. Little did I know that this quirky personality trait of mine was growing; building with each moment I allowed myself to allot all my time, energy, and devotion to this pursuit of perfection. Middle school, high school, and college all went by, feeding this lie and convincing me all the more that it was possible; that I could actually achieve perfection. It wasn’t until I was on the flipside of a destructive season in life that had completely annihilated my self-image, self-confidence, and self-worth that I saw how what was once an innocent personality trait had morphed into a relentless, obsessive lifestyle. Isn’t that how God so often works though; bringing forth from the rubble of our eradicated sin-filled, corrupt lifestyles the beauty of refinement and sanctification? And so it was; from this place of emptiness and desperation, God opened my eyes to His truth. Where perfectionism had once told me that it was possible, God reminded me that it was not, because “to all perfection, there is a limit, but [His] commands are boundless” (Psalm 119:96, NIV). Perfectionism had convinced me that it was necessary, God reminded me of what was truly necessary, for “it is by grace that I have been saved, through faith – and this not from myself, it is a gift of God – not by works, so that no one can boast” (Ephesians 2:8-9, NIV). Perfectionism had once said that I would never be good enough. God reminded me that I didn’t have to be, because “as for God, his way is perfect: The Lord’s word is flawless; and he shields all who take refuge in him” (Psalm 18:30, NIV). If you’re anything like me though, it’s a constant battle to remind yourself of those ‘but God…’ truths, right? There is a persistence in each of us that finds tremendous pride in how meticulous and precise we can maintain the order of our lives. Seriously sister, let’s get real. You find pride in it, don’t you? You pride yourself in how organized your planner is; in how clean your house or apartment is; even in how precisely you maintain your daily schedule, down to the minute. These things by themselves aren’t inherently bad, but when we begin to take pride in getting as close to perfection as possible, even in the small things, we can begin to convince ourselves that it’s really not as bad as it may seem. So let me tell you right now sister – it is a bad thing. In fact, I’ll go as far as to say that it is sinful because there is glory in perfection. There is beauty and splendor and majesty in it. And we know this, so we desire it. But as our dedication and devotion remain committed to achieving that which was never intended to be ours, we rob the Lord of His rightful glory. This kind of majesty and beauty is only meant for God; it is His alone and as we continually convince ourselves that it’s attainable and daily strive for it, we rob Him of that glory. So as painful as it is, the first step in identifying perfectionism for what it truly is, is to recognize our utter lack of perfection in light of the all-consuming perfection of God. I am not what I ought to be – ah, how imperfect and deficient! I am not what I wish to be – I abhor what is evil, and I want to cleave to what is good! I am not what I hope to be – soon, soon shall I put off mortality, and with mortality all sin and imperfection. We must realize that who we are here on earth is nothing compared to God Almighty, “for who in the skies above can compare with the Lord? Who is like the Lord among the heavenly hosts,” much less here on earth (Psalm 89:6, NIV). We all fall to imperfection and utter deficiency. 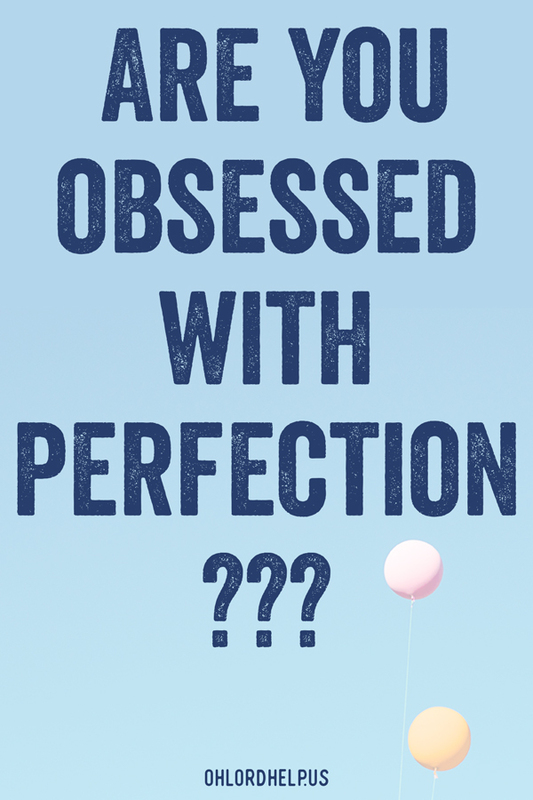 Are you an obsessive perfectionist? “To all perfection, there is a limit,” (Psalm 119:96, NIV) so stop trying so hard. Are you impulsively fixated on constant improvement? That’s painful, isn’t it? The war between flesh and spirit always is. But there is hope sister! And this hope, found outside of ourselves and our own abilities, will never put us to shame (Romans 5:5). Though we are not what we ought to be, nor what we wish to be, nor what we hope to be, we can truly say, we are not what we once were; slaves to sin and to Satan; and we can heartily join with the apostle and acknowledge that “by the grace of God we are what we are” (John Newton, 1772). We are children of God; heirs to the promises given by He who is faithful. 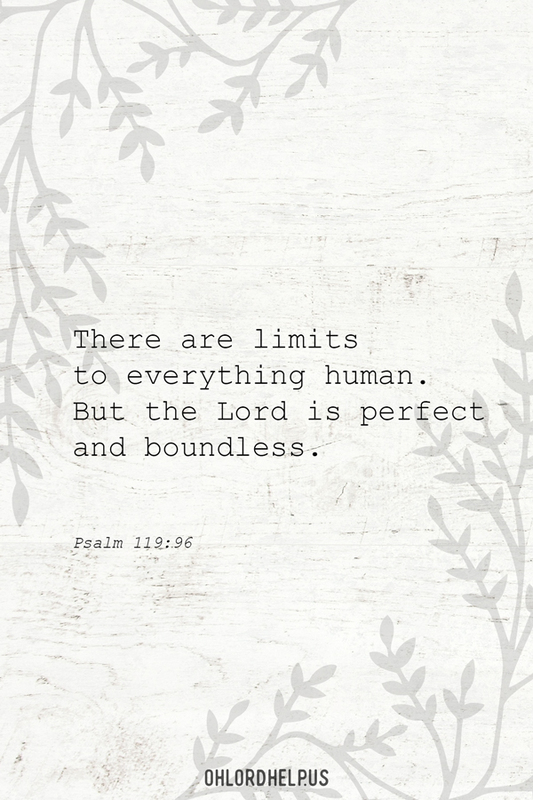 Indeed, to all perfection, there is a limit but praise God that His perfect Word is limitless (Psalm 19:7; 119:96). It is true that without God we would have no good thing, but how joyful it is to know that we will never have to live a day apart from His goodness (Psalm 16:2; Deuteronomy 31:6). So sister, rejoice! You will be made perfect one day. Because today, you can rest in knowing that only He is. 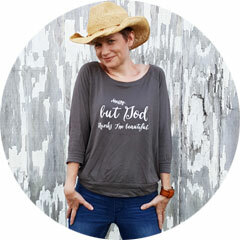 Kristin Remm is a jeans and t-shirt wearing, passionate, jump-in-with-both-feet, entirely flawed but wholly loved by God kind of girl who is learning to embrace grace over perfection. Residing in Kearney, NE, Kristin is the grant writer and data analyst for a local nonprofit agency. Outside of her work, Kristin enjoys spending hours at the coffee shop reading and writing, competing on the community church softball league, and traveling with her family and friends. 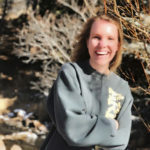 You can also connect with Kristin on Facebook and Instagram. Loved this truth! I am always trying to improve, idolizing my discipline and taking pride in getting things right. This has come at a great time for me, as I’m trying to work on not putting my discipline and work before fostering relationships.